Issue VII features the up and coming band Don’t Believe in Ghosts. The main article is written by our own, Ulises Amaya! 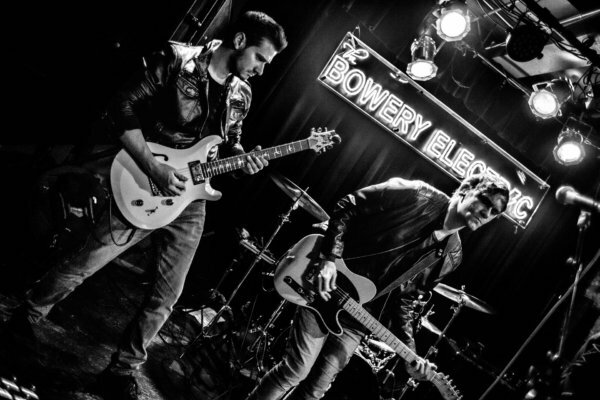 “Don’t Believe In Ghosts is an alt-rock band from NYC with infectious synth-pop sensibilities. At times their music seems so familiar that you may feel like you’ve wandered back 30 years into the heart of New-Wave. Yet, there’s so much about this group that is right at home in today’s rock/pop world. What once was primarily the creative effort of singer Steven Nathan, has grown into a working partnership with guitarist Dan DelVecchio. The two, along with bassist Alex Goumas, and drummer Ken Yang, form the live outfit of the band. But, as you’ll read, the very definition of what a “band” is has evolving in this new century, and Don’t Believe in Ghosts are aiding in that evolution. Check out the full magazine here: Issue VII and be sure to follow Don’t Believe in Ghosts on social media!